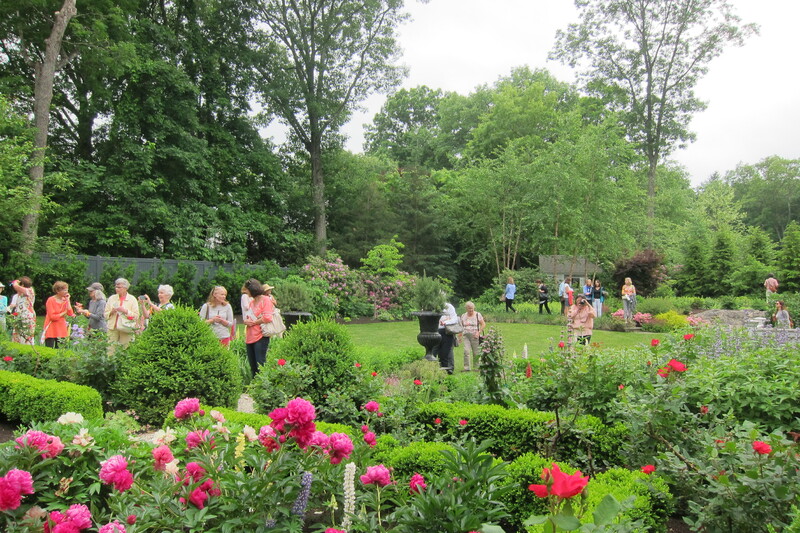 This past Tuesday, June 9, my garden was on tour. Over 300 visitors came, admired, and went on their way. For any of you who have had your garden on a tour, you know how much work it is! However, all the hard work and anxiety before the tour was repaid manifold by how much people enjoyed my garden, and were inspired by it. People asked a lot of questions – the most often asked question was “what is that plant that looks like a firecracker?” Answer: “Star of Persia allium” – not only about what things were but how to do things. The beauty of my garden, the scale of it, and what I have achieved with my own two hands inspired hundreds of people to go home and try something new in their garden. I often say in this blog that I believe in the healing power of gardens. On Tuesday, I witnessed the inspirational power of beauty. I wish you all could have been there. I’m sure it was exhausting — but even more rewarding. I look forward to seeing the garden one day. It was the exhaustion that is a necessary part of a worthwhile endeavor. I am so glad the day was such a success and can only imagine the effort that went into it. I look forward to seeing your garden too! It would be nice to have you in the garden. Gorgeous, Amy. and 300 people inspired — that’s incredible. Well done! Hopefully my math is not wrong. I wish I had been there too! Bill and I were away celebrating our 28th anniversary. i am sure you garden will be the talk of the tour !!! Congratulations to you & Bill…come see the garden anytime. Congratulations on a successful event in your wonderful garden. I would love to have been there. I would have loved to have you. I’m a bit late getting here, but congratulations on a successful tour. I enjoy visiting public gardens, but I find gardens like yours that are the passion and creation of an individual most inspiring. Hi Jean – it’s never too late to hear from you. I agree. I appreciate and am thankful for public gardens, but private gardens stir my soul. Sorry, I too missed seeing your garden. Sounds like you shared a wonderful day with your visitors. Sorry you missed it too – hopefully another year.